It takes at least five hours to reach El Alamein by public transport from Cairo so a tour is, frankly, a must. Combine the flexibility of independent travel with the expertise of a private guide on this door-to-door day trip which brings you to the El Alamein War Museum and El Alamein War Cemetery. Learn more about the battle, a World War II turning point, as you pay your respects. At 7:00 am start your day trip to El Alamein from Cairo and you will find your tour guide holding a sign of your name at the lobby of your Hotel. 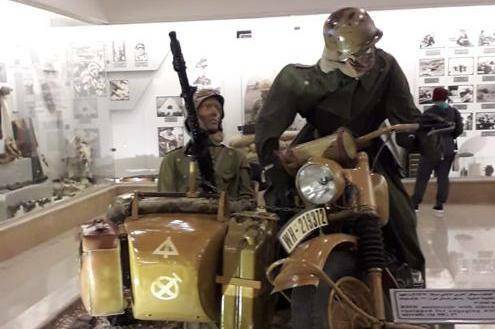 El Alamein is about 240 kilometers to the northwest of Cairo.after arrival you will visit the the War Museum and the Commonwealth Cemetery which known as the War Cemetery that shows the graves of the soldiers from different countries whom killed during the World War II. El Alamein was one of the main spots of World War II, so you will be able to know about the World War II and all historical events by our expert tour guide. At the end of the tour we will transfer you back to your Hotel.